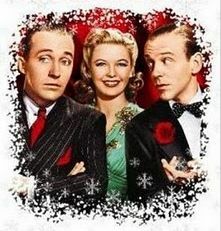 Holiday Inn (1942) is famed as the film in which Bing Crosby first sang "White Christmas." I love its teaming of Crosby with Fred Astaire, their song and dance routines, the comedic rivalry between them, Irving Berlin's sensational music, the wintry New England scenery...everything about it. Scott's review started with a clip of a clever Fred Astaire routine, his New Year's Eve dance "under the influence" with Marjorie Reynolds...click below to watch the entire sequence...CLIP NO LONGER AVAILABLE...a good excuse to just watch the movie! This was a delight, Eve. I've always loved Holiday Inn, and it is a must-watch every Christmas, although as the critic said, it's just fun for anytime. Of course you know how I feel about censorship, and I liked this critic's way of explaining. Your clips were so much fun to watch. Good post, as always! same here!! great film..although it may have better music, WHITE CHRISTMAS is really inferior!! Eve, As you may already know.. One of my favorite Christmas movies. As always.. Astaire is very elegant and charming. 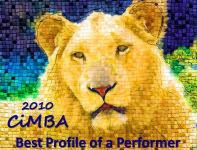 ;) Loved the video clips. Astaire is exquisite; he seems to just glide across the dance floor so effortlessly. It is amazing just to watch him. I must have seen this film about a half a dozen times and never tire of it. The “Abraham” number is a product of the times the film was made and should be viewed as such. I don’t believe we should censor art. The question becomes where do you stop? I always fear whose hand has the scissors and what it is next they will put it too next.